The Embassy of Brazil in Kuala Lumpur is the Brazilian government’s official representative in Malaysia. 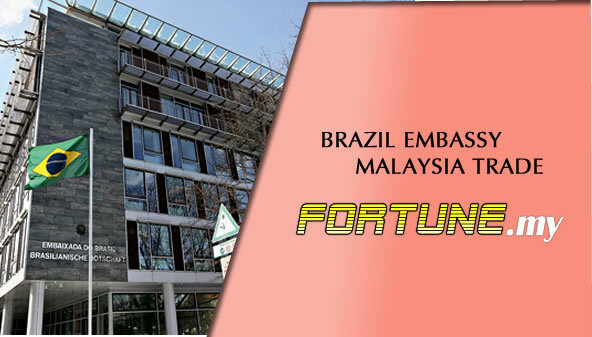 The office is known as Embaixada do Brasil em Kuala Lumpur and operates at Menara Tan & Tan along Jalan Tun Razak of the city centre. The diplomatic ties between the 2 countries was established in 1959, 2 years after Malaysia’s independence but it was only in 1981 that the respective Embassies were set up. Since then, there has been several visits by top level officials from both countries. Over the years, ministerial visits and trade functions have been organized to facilitate and foster better ties between Malaysia and Brazil. The Brazil Embassy in Malaysia ensures that visa applications and any foreign policies affecting both countries are communicated effectively. As the official office of the country of Brazil, this is the office where you can find all the information you need if you are planning to visit Brazil. Its Visa Section is opened on weekdays between 8.30am to 2.30pm. If you are looking to invest or bring your business to Brazil, you can contact the embassy to assist you particularly in terms of legislation and taxations. Malaysia and Brazil has one of the strongest bilateral ties where the former is among the top partners within ASEAN. Malaysia exports products like sugar, iron ore and corn to Brazil. This is handled by SECOM or Trade Sector of the Brazil Embassy in Kuala Lumpur. It must be noted that visitors who are planning to enter Brazil for business purposes would need to apply for the necessary visa before entering. As long as there are monetary issues involved, a visa will be required. The Consular is mainly responsible for all the issues pertaining to Visa and particularly for those travelling to Brazil. It must be noted here that Malaysian citizens with passports are exempted from needing a visa to enter Brazil. You will actually be permitted to enter the country for up to 90 days per year for non-monetary purposes. This applies to those going there for vacations or to join conferences or events like cultural shows, fairs and seminars. If you need to stay longer, you can do so by sending an application to the authorities to subject to approval. Take note that if you are participating in a trade fair, you will be required to obtain a business visa as it will be necessary to facilitate clearance of goods from the customs.